Are you worn out of the same old parent-teacher conference format? 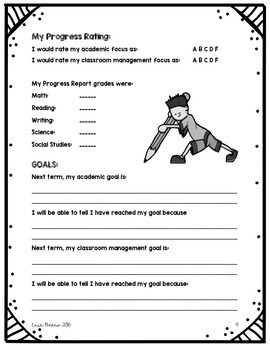 Are you looking for a way to make your students more accountable learners in your classroom? Are you looking for positive ways to bring parents into your classroom? 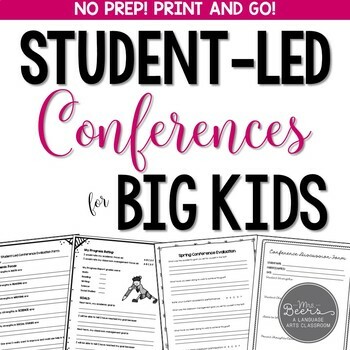 This Student-Led Conference Bundle for the Middle Grades is the conferencing tool that will enhance your work in your classroom in so many of these positive ways. This 16-page BUNDLE includes EVERYTHING you need to begin preparing for conferences TODAY!! • an explanation of "Why to use Student-Led Conferences?" 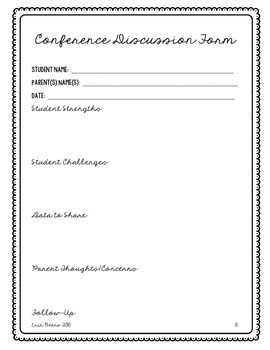 • a step-by-step "Where to begin with Student-Led Conferences?" Conferences do not have to be stressful and overwhelming for the teacher to prepare for. 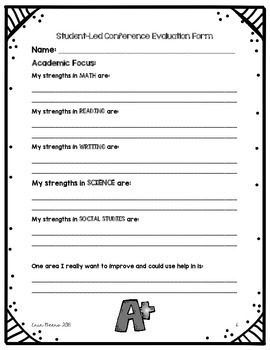 By utilizing this student-led conferencing approach, your students will take greater ownership over their learning, and conferences will allow for each student to be the front and center as THEY facilitate their successes, strengths, areas needing improvement, and goals for the remainder of the year.